Hello. My name is Teacher Tessa. I am a mother of 2 lovely girls and a handsome boy. I was a call center agent for 3 years and was a virtual assistant for 9 months. I am very friendly, energetic and patient. I love cooking foods and baking. I also love watching movies and reading books/novel. I love teaching English because I want to share my knowledge to other people. Teacher Tessa is a mother of 3 kids. 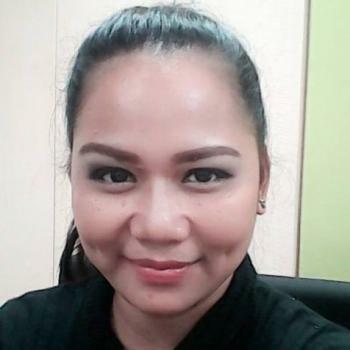 She used to work as a call center representative and a virtual assistant. She is very friendly, energetic and a patient person. She loves cooking, baking, watching movies and reading books or novel. She loves to teach English because she wants to share her knowledge.